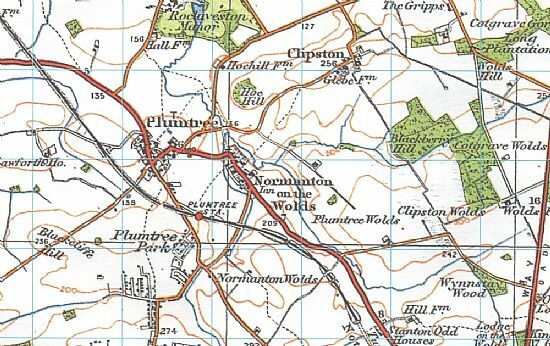 The next meeting of Normanton-on-the-Wolds Parish Council will be held at 6:30 pm on Tuesday 21st May 2019, in the Burnside Memorial Hall, Church Hill, Plumtree. Normanton-on-the-Wolds is a small village six miles south-east of Nottingham, in the ecclesiastical parish of Plumtree, with which it has been associated throughout its history. The name Normanton comes from the Old English Northman + tun, meaning "farmstead of the Northmen or Northern Vikings", and suggests a minority of Norwegian Vikings living in the area. The village can be traced back to at least 1086, as it appears in the Domesday Book under four entries. 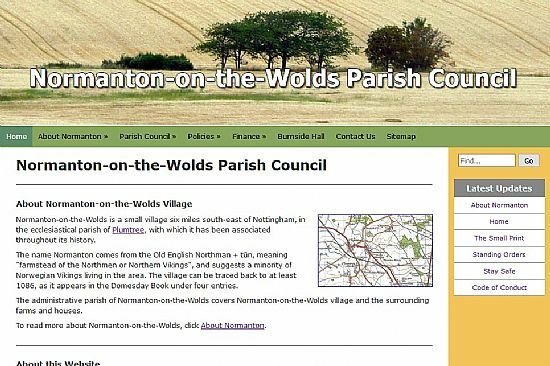 The administrative parish of Normanton-on-the-Wolds covers Normanton-on-the-Wolds village and the surrounding farms and houses. To read more about Normanton-on-the-Wolds, click About Normanton. We welcome any photos of Normanton that we could add to the Photos of Normanton gallery to allow website visitors to see more of the village. 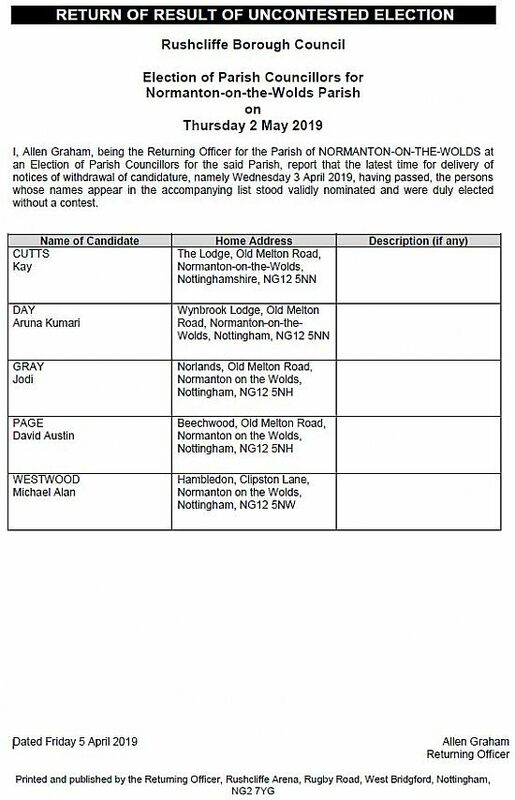 Please attach your photos to an email and send them to the Parish Clerk at: clerk@normanton-on-the-wolds.parish.email.